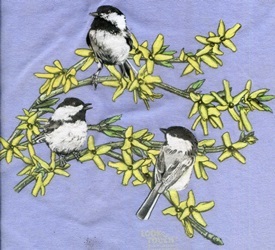 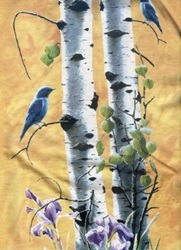 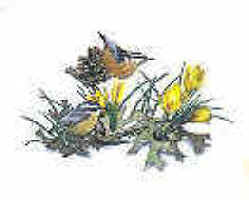 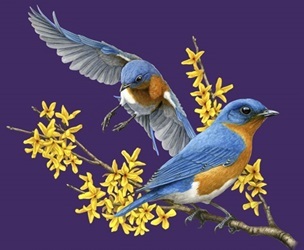 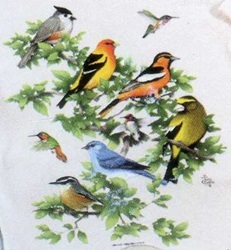 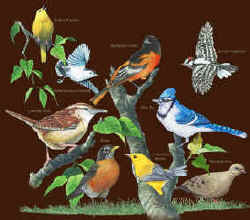 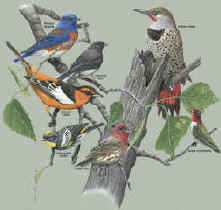 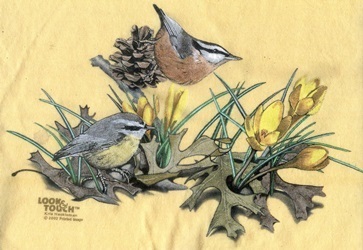 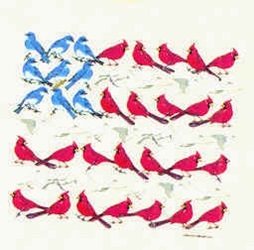 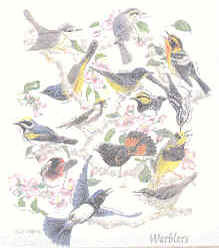 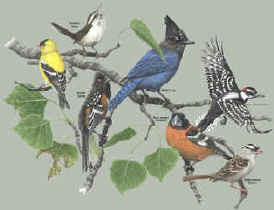 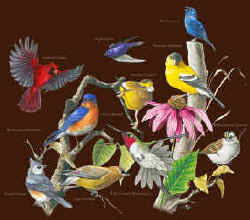 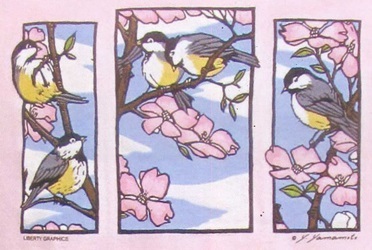 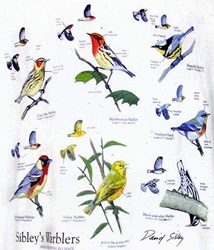 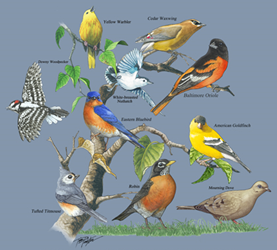 Birds pictured on Yard Birds T-shirt: Yellow Warbler, Cedar Waxwing, Downy Woodpecker, White-breasted Nuthatch, Baltimore Oriole, Eastern Bluebird, American Goldfinch, Tufted Titmouse, Robin, Mourning Dove. 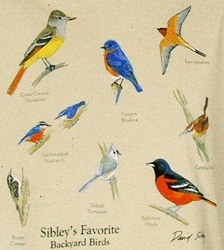 Birds pictured on Sibley's Favorite Backyard Birds T-shirt: Great Crested Flycatcher, Eastern Bluebird, Barn Swallow, Red-breasted Nuthatch, Carolina Wren, Brown Creeper, Tufted Titmouse, Baltimore Oriole. 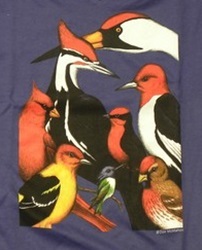 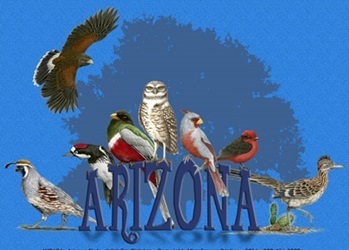 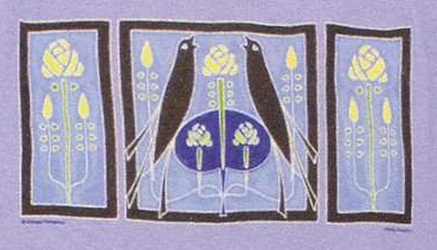 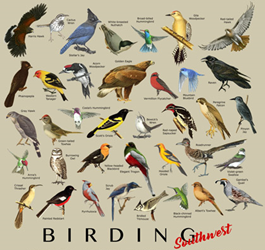 Birds pictured on Birding Southwest T-shirt: Harris Hawk, Cactus Wren, Stellars Jay, White-breasted Nuthatch, Broad-billed hummumgbird, Gila Woodpecker, Red-tailed Hawk, Phainopepia, Western Tanager, Acorn Woodpecker, Golden Eagle, Vermillion Flycatcher, Mountain Bluebird, RavenGrey Hawk, Green-tailed TowheeCostas Hummingbird, Scott's Oriole, Bewick's WrenRed-naped Sapsucker, Peregrin Falcon, Pinyon Jay, Anna's Hummingbird, Burrowing Owl, Yellow-headed Blackbird, Elegant Trogon, Hooded Oriole, Roadrunner, Violet-green Swallow, Crissal Thrasher, Painted Redstart, Pyrrhuloxia, Scrub Jay, Bridled Titmouse, Black-chinned Hummingbird, Albert's Towhee, Gambel's Quail. 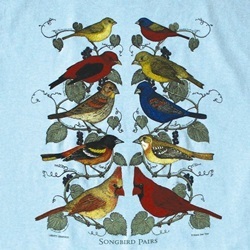 front design tshirt 12.5" x 9.5"
If you wage war with the squirrels raiding your feeder, the Squirrel T-shirt page may help change your mood. 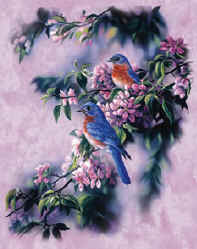 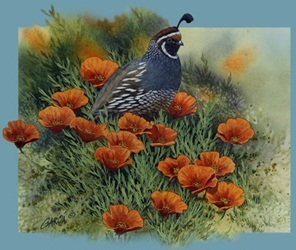 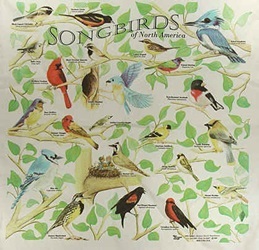 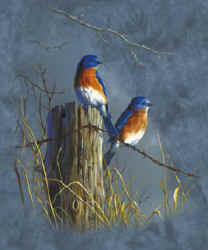 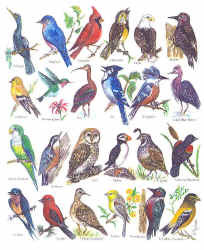 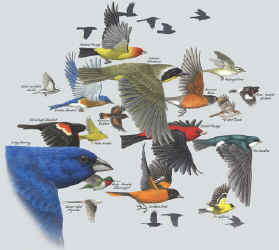 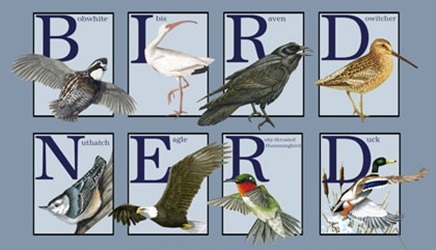 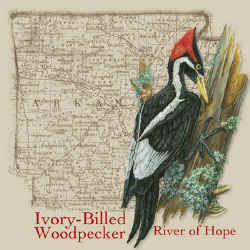 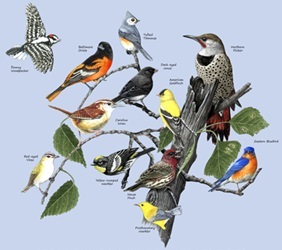 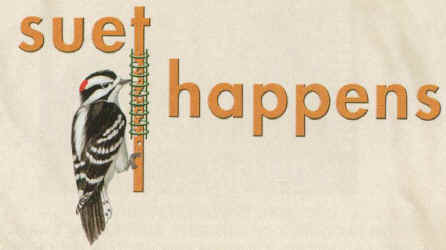 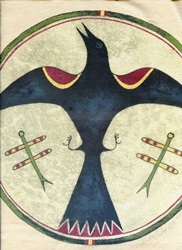 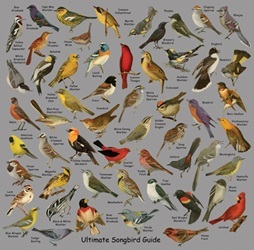 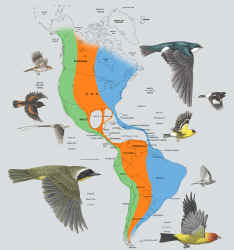 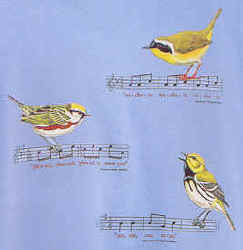 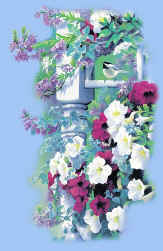 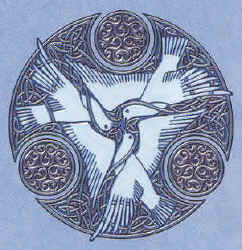 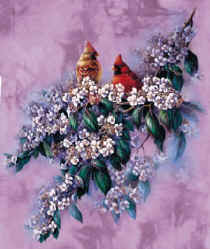 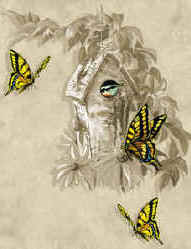 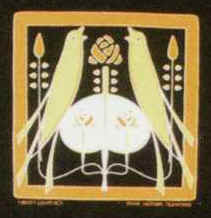 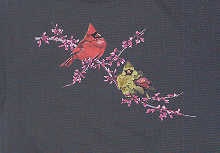 There are special pages for Songbird Neckties, More Bird Hats, Bird Bags, and Bird Books. 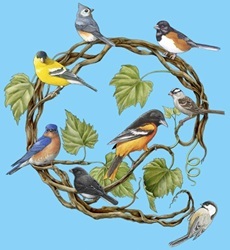 plus Balsa, Resin and Plastic Bird Magnets using the links below.